Here’s a story of heroism from Investors Business Daily. 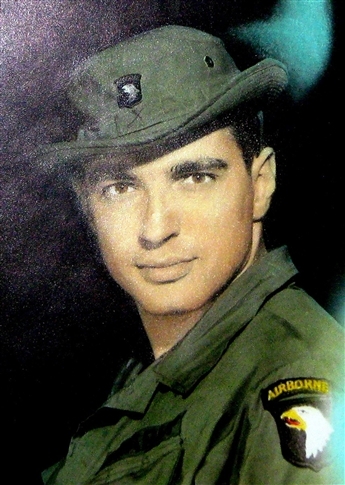 Leslie Sabo was killed during the Vietnam War’s 1970 Cambodian Campaign. He was nominated for the Medal of Honor, but the records were lost until a veteran rediscovered them in 1999. In 2012, Sabo’s widow received the nation’s highest military award on his behalf, the 249th for Vietnam. Sabo’s platoon and another had been ambushed from all sides by a large and well-entrenched force of communist soldiers. He repeatedly attacked and killed enemy soldiers, was wounded by a grenade as he shielded a comrade, and then was fatally shot as he provided covering fire for a medevac helicopter. Leslie Jr. was born in 1948 in Kufstein, Austria, where his well-to-do family had moved after the Soviet occupation of Hungary at the end of World War II, leaving almost everything behind. They moved to America when he was 2. They lived in Youngstown, Ohio, and then Ellwood City, Pa.
Leslie Sr., a lawyer in Hungary, retrained as an engineer, and both parents taught their two remaining sons (another was killed by a bomb during the war) patriotism for their adopted country. 4 Leslie H. Sabo Jr. distinguished himself, May 10, 1970, in Se San, Cambodia, while serving as a rifleman in Company B, 3d Battalion, 506th Infantry, 101st Airborne Division. He gave his life to save his friends.